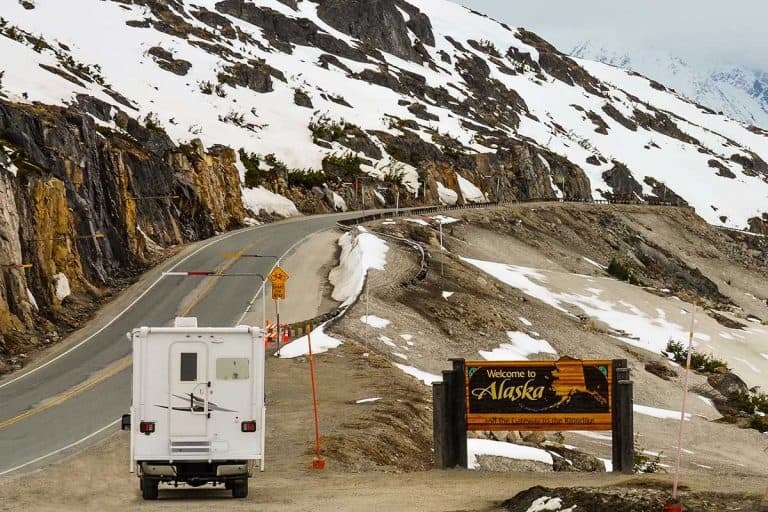 Before you sign on the dotted line, you’re going to want to know the height of your RV. After all, having adequate room to get around the vehicle without bumping your head or your body shouldn’t just be a luxury, but something that’s mandatory. 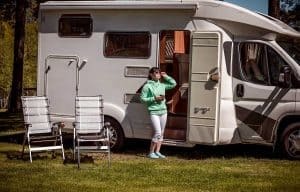 You may wonder then, what is the average height of an RV? How tall should you expect your rig to be? We’ve done extensive research to provide you the answer. 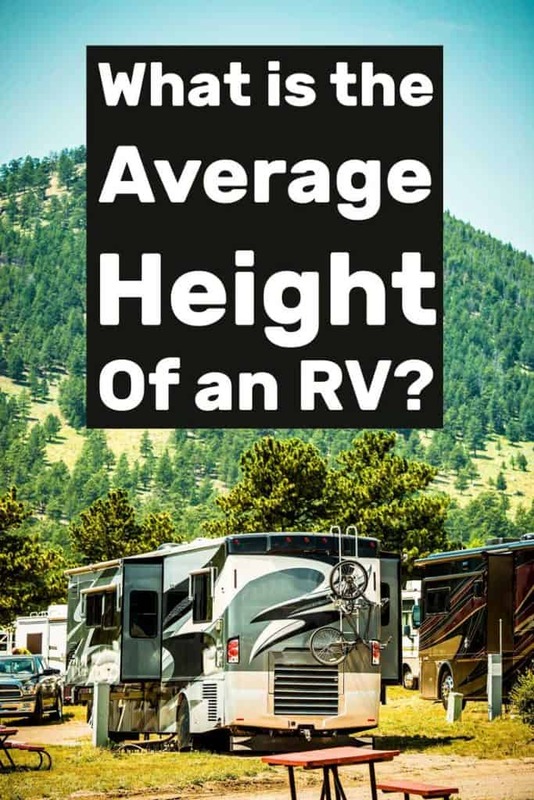 Now, those are just averages, meaning you could see height variations from one RV to another. 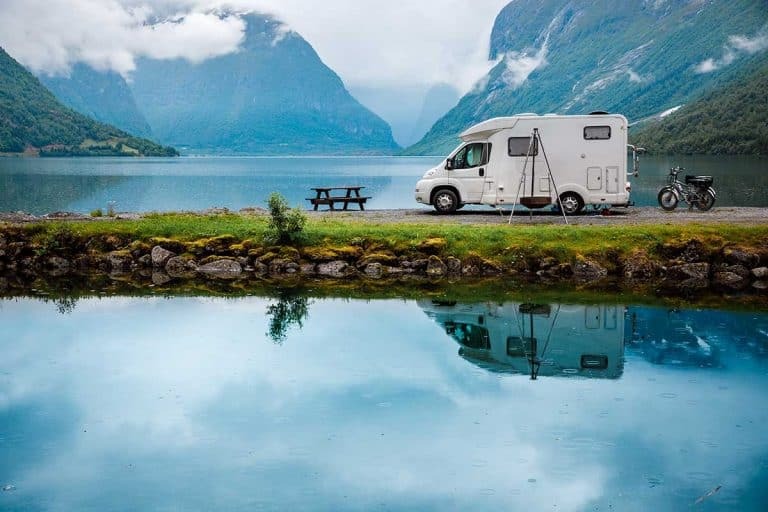 That’s why, in this article, we’ll provide examples to several models of each motorhome type (and a few trailers to boot) so you can have some real-world examples to go off of. Of the three motorhome types, Class As have the most heft. Their sheer bulk means they outsize Class Bs and Class Cs every time. On average, a Class A RV might stand at 14 feet. That’s quite a deal taller than a Class B and even up to three or four inches more than the average height of a Class C motorhome. Here are some height examples for Class A motorhomes. 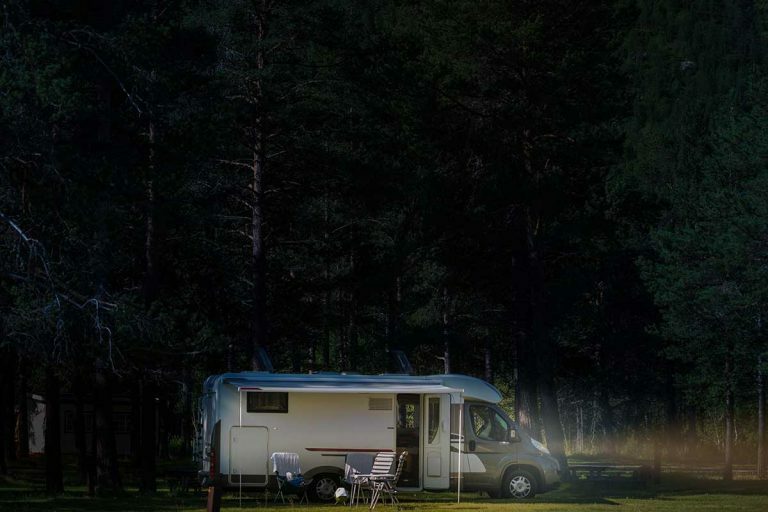 The 2019 diesel luxury Class A Winnebago Forza has an exterior height of 11 feet, 11 inches. Inside the vehicle, the interior height is six feet, eight inches across all floorplans. The huge Berkshire XL from Forest River Inc. stands at 12 feet, five inches. This is a mighty vehicle, too, as its Gross Vehicle Weight Rating or GVWR varies from 36,400 pounds to 38,230 pounds. The Newmar Dutch Star has a dozen floorplans to select from. Some have a height of 12 feet, 10 inches while others stretch to 13 feet exactly. The interior height for all floorplans is six feet, nine inches. While Class A motorhomes are tallest, a Class B RV is one of the shortest, squattest, and smallest vehicles around. Even some trailers, like travel trailers and fifth-wheels, have more height than an average Class B. Let’s cover some height examples now. Another 2019 Winnebago, the Travato Class B motorhome has a height of nine feet, four inches. You get less room inside, with an interior height of six feet, three inches regardless of the four floorplans you choose from. Roadtrek produces only Class B RVs and camper vans. Their Zion SRT model has a height of nine feet, five inches when you add the roof air conditioner to it. More than likely, you’d have to subtract a few inches if you removed the air conditioner to get a true height measurement. The interior standing height measures six feet, two inches. Thor Motor Coach produces some massive RVs, and the Gemini RUV borrows some of that size even as a Class B. For instance, depending on the floorplan, the height of this vehicle starts at 10 feet, eight inches. The biggest model in the Gemini RUV family measures 11 feet tall. This does include an air conditioner, so again, you’d take away some inches for a truer measurement. Inside this Class B, the interior height’s six feet, six inches. Then there’s the midweight RV, the Class C motorhome. These do have the height advantage on Class Bs and can sometimes stack up decently against the tallness of Class A motorhomes. Let’s take a look at some heights of Class C RVs now. The trendy Four Winds Class C RV from Thor Motor Coach has an exterior height of 11 feet with the air conditioner included. Some floorplans stand at 11 feet, two inches, again factoring in the AC unit. The Four Winds has an interior height of seven feet across all models. Another Class C, the 2019 Winnebago Navion ascends to just 11 feet, one inch. The manufacturer says the chassis can play a role in overall height, but the vehicle’s at least 11 feet tall for all floorplans. As for the interior height, it’s six feet, eight inches. Continuing the trend of 11-footers, the Forest River Inc. Sunseeker measures 11 feet, three inches tall. You won’t find many longer Class C motorhomes than this model, but it’s not nearly as tall as you’d expect. 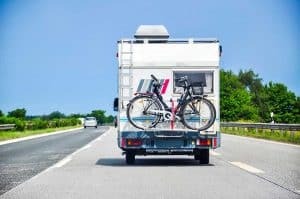 Moving on from RVs to trailers now, let’s talk a bit about travel trailers. They’re comparable in height to Class C RVs, making them a dependable mid-length vehicle that should fit in many a state park and campground. 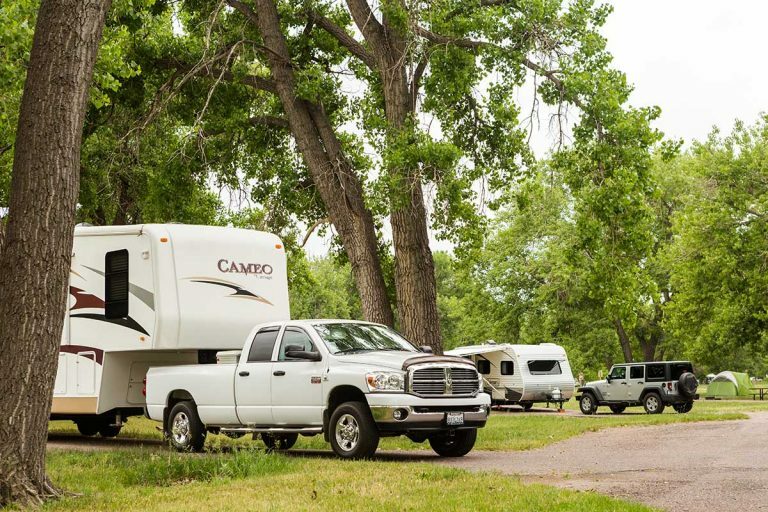 We’ll now go over some examples of travel trailer heights. We included the hefty Cougar Half-Ton from Keystone RV Company to show you that even with a large body, most travel trailers don’t have a ton of height. With five Cougar Half-Ton models, the heights vary. The smallest trailers are 11 feet, one inch, some mid-sized ones measure 11 feet, four inches, and the biggest sit proudly at 11 feet, eight inches. The Starcraft RV Mossy Oak travel trailer has several floorplans to choose from. These run the gamut from small, moderately-sized accommodations to lengthy trailers with all the fixings. On the smaller end, the trailer heights start at 10 feet, four inches. The bigger floorplans have a height of 11 feet, two inches. Do keep in mind the air conditioner’s included with these measurements. Opposite the Cougar Half-Ton is the KZ RV Escape Mini. We like this one since it’s a good example of a smaller travel trailer’s height. The Escape Mini isn’t very tall, only eight feet, eight inches. That’s before you add an air conditioner, by the way. Inside the trailer, the interior height measures six feet, eight inches. Finally, there are fifth-wheel travel trailers. Known for their large front hitch, fifth-wheels are comparable in size to some Class A RVs. They might not look that tall, but looks can be deceiving. You’ll get more headroom in a fifth-wheel than most Class B and C motorhomes. 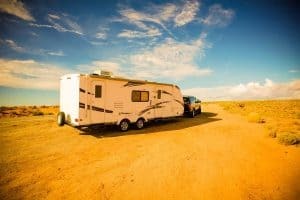 Read more: What Exactly is a Fifth-Wheel? Without further ado, here are some fifth-wheel trailer height examples. Getting started with another pick from Keystone RV Company, their Montana fifth-wheel is seriously tall at 13 feet, four inches for every floorplan. These ginormous trailers exceed 35 feet in length, so they’re pretty big all across the board. No matter how oversized your Northwood Arctic Fox gets (and the 35-5Z floorplan stretches to about 39 feet), all the models have the same height: 13 feet, three inches. This isn’t anything to sleep on. Besides plenty of roominess, Northwood’s trailers have some of the most luxurious features you’ll find in a fifth-wheel. It is possible for some fifth-wheels to clock in at under 13 feet. Take, for example, the Winnebago Minnie Plus. There’s a mini version of this as well. Of the two, the Minnie Plus is bigger. The exterior height for all floorplans measures 11 feet, 11 inches. Okay, so that’s just shy of 12 feet, meaning the Minnie Plus isn’t that much shorter than most other fifth-wheels. It has an interior height of seven feet, one inch to seven feet, 11 inches. 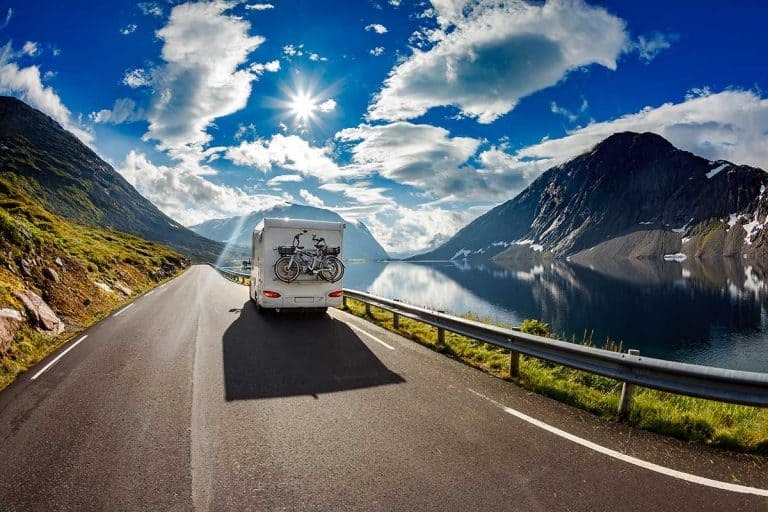 The average height of an RV depends on the size of the vehicle. Class As, the biggest of the bunch, often have the most height at over 13 feet. Class Bs will rarely clear the 10-foot mark, although some are 11 feet and up. Most Class C RVs sit squarely in the 11-foot camp as well. Travel trailers have a height akin to a Class C, about 11 feet, although some smaller models can skate by at under nine feet. Even though you might not think so, most fifth-wheel trailers are so tall they’re about the same height as some Class A RVs. 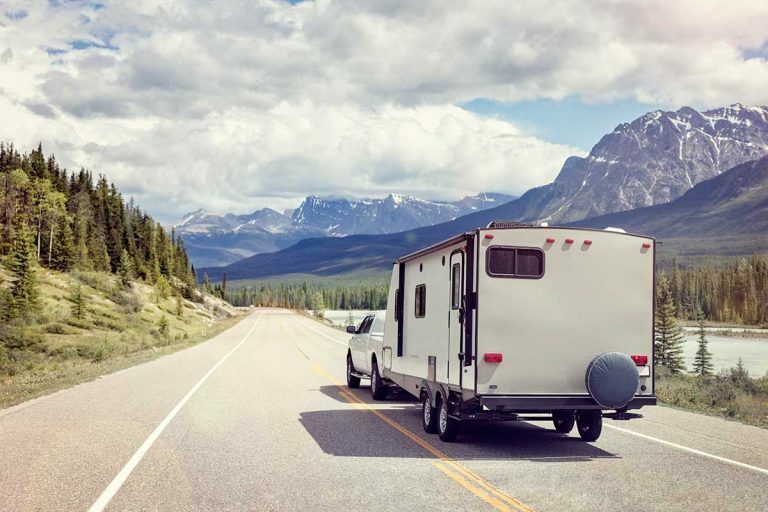 Now that you’ve seen the heights of these RVs and trailers, you can choose one that fits your lifestyle and comfort needs. Good luck!